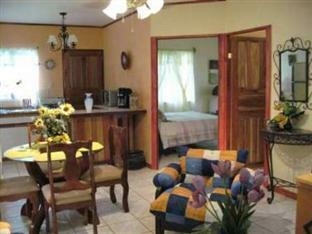 ﻿ Best Price on Inti Resort and Villas in Cahuita + Reviews! Have a question for Inti Resort and Villas? For travelers who want to take in the sights and sounds of Cahuita, Inti Resort and Villas is the perfect choice. The hotel lies 6.00 Km from the city center and provides accessibility to important town facilities. A haven of rest and relaxation, the hotel will offer total renewal just steps away from the city's numerous attractions such as Tarantulas Way, Cahuita National Park, Sloth Sanctuary of Costa Rica (Aviarios del Caribe). At Inti Resort and Villas, the excellent service and superior facilities make for an unforgettable stay. For the comfort and convenience of guests, the hotel offers facilities for disabled guests, Wi-Fi in public areas, car park, airport transfer, babysitting. Step into one of 12 inviting rooms and escape the stresses of the day with a wide range of amenities such as non smoking rooms, air conditioning, mini bar, fan, television which can be found in some rooms. The hotel offers wonderful recreational facilities such as fitness center, sauna, outdoor pool, spa, massage to make your stay truly unforgettable. 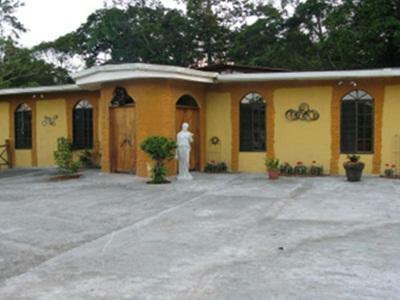 Inti Resort and Villas is an ideal place of stay for travelers seeking charm, comfort and convenience in Cahuita. Estuvo muy bien, el hotel es muy bueno, tanto el gerente como el personal que trabaja son super amables, Yo reconmendaria este hotel es perfecto.